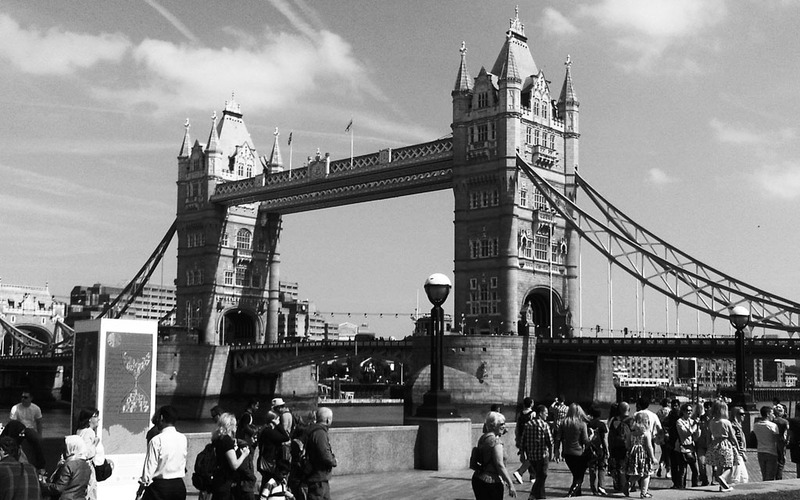 Commonly mistaken for London Bridge, Tower Bridge lies just south of the Tower of London from which it takes it’s name. This 19th century structure is still to this day fully operational. The bridge not only sees some forty thousand people cross its span everyday, as well as a steady stream of traffic but it still raises its bascules to let passing ships through. Tower Bridge with its mighty pillars, bright blue cables and beautiful stonework is magnificent to look at and is a ‘must do’ in any London itinerary. Whether it’s seeing the iconic symbol from a far (on the north and south banks of the River Thames) or up close by walking across its span. Personally, I don’t think a trip to London would be complete without a crossing of this historic landmark. Even if it’s purely for the view alone, I promise you won’t be disappointed. 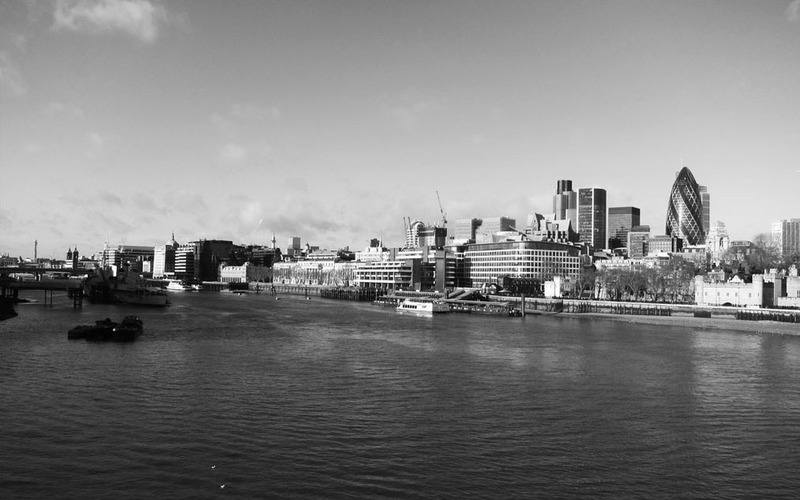 From up on the bridge (whether you’re on foot or on a double decker bus) the panoramic views of London are truly spectacular. Looking west, old world London icons like Tower of London, The Monument and HMS Belfast stand next to ultra modern, uniquely shaped buildings like City Hall, The Shard and The Gherkin. For a great photo opp. I suggest heading down to the bridge at either dawn (when most of the city is sleeping) or at dusk. Then and there you will be presented with what can only be described as a stunning mixture of moody greys and subtle shades of pink as the sun creeps up or slowly moves behind the buildings on the embankment.